A truly luxurious country retreat, Heckfield is the epitome of Georgian elegance situated in 400 acres of idyllic Hampshire landscape. 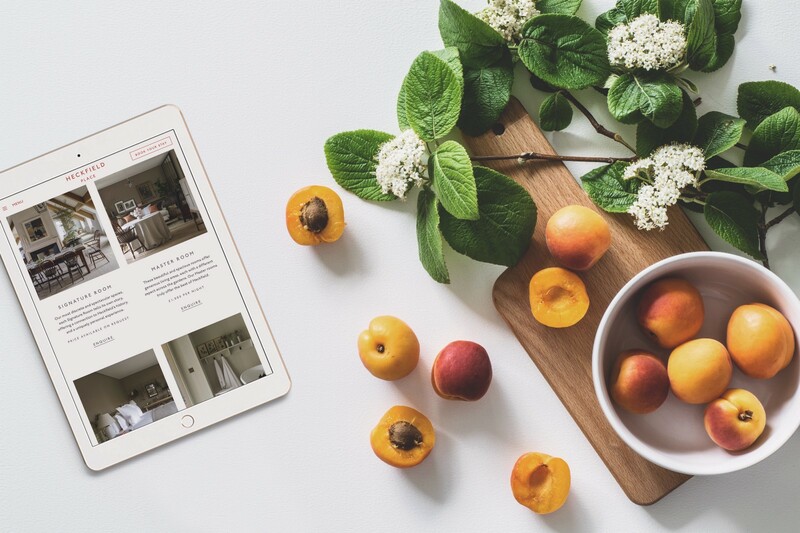 After a six year refurbishment process, Heckfield Place required an equally as elegant website to introduce themselves to the hospitality market, facilitate bookings and showcase the hotel’s effortless beauty and unique offerings. Heckfield looks to create a strong, positive presence online and attract the attention of individuals looking for more than just a bedroom. Rather, for those who seek an experience away from the intensity of day-to-day life surrounded by the haven of the Heckfield estate. Together with Made Thought’s creative lead, a brand agency ethically aligned to MOF’s own value-driven approach, we delivered an exceptionally crafted site over the course of six months. Extensive customer profiling has resulted in a story-led brand communication strategy that both complements Heckfield’s delightful hospitality experience and encourages conversion. 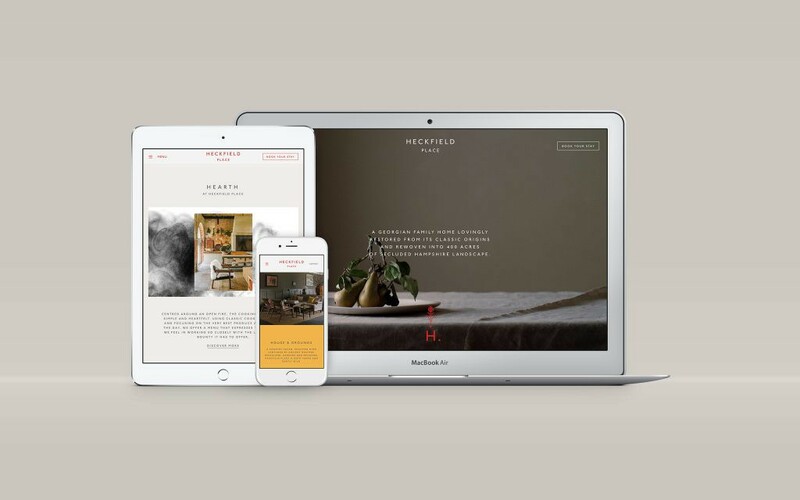 From a layout perspective, our Design Director, Anna Jehan, and Made Thought’s Managing Director, Nick Marshall, explains how we wanted to gradually unfurl information to convey the unique story of Heckfield (while also leaving some intrigue for the surprises you might discover when you arrive). Heckfield’s endless offerings could have resulted in excessive content and a complicated site structure. However, attention paid to images and focus on the finesse of animations fundamental to the site’s creation allow users to flow seamlessly from one area of the house. Colour also plays a vital role in imitating the atmosphere one would experience in the hotel online as if exploring from room to room. The warm, transitioning tones capture the calming ambience and chic decor so attentively curated by Heckfield Place. Our development team, led by Chris Willcox, platformed the site on a Kentico enterprise technology solution. Effortless navigation and digital interactivity created a frictionless online experience from the first click through to booking. The development allows for future segmentation of users and personalisation of page content. An abundant module library enables the client to create unique page templates, with seamless addition of content to match Heckfield’s evolving ecosystem. Our site showcases Heckfield Place’s authentic character and enticing offerings, raising brand awareness and attracting potential guests. We are thrilled with the outcome and very much look forward to future engagements with Heckfield Place.